An ancient virus related to HIV ravaged a wide range of animals millions of years ago, scientists have found. Scientists have stumbled upon an ancient retrovirus that had likely been spread across the planet 15 to 30 million years ago. Retroviruses can be found throughout all nature, and they include such deadly diseases as the dreaded human immunodeficiency virus (HIV) as well as human T-cell leukaemia virus. This particular ancient virus, part of a group called ERV-Fc, is believed to have infected a wide range of carnivores, primates, and rodents alike millions of years ago, according to an eLIFE statement. 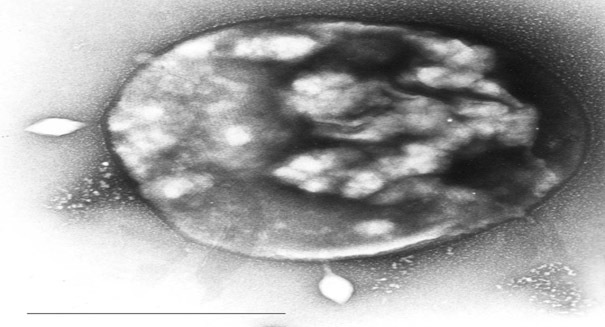 Scientists believe that this ancient virus ERV-Fc was so widespread that Antarctica and Australia were the only continents untouched by it, and it may have crossed species boundaries 20 times. The study was conducted by researchers at Boston College, who had their work cut out for them finding evidence of this virus, considering that viruses don’t leave fossils behind and therefore it’s tough to know how they’ve originated and evolved over the billions of years of history of life on Earth. Researchers were able to find a remnant of one of these viruses, and determine where they would have been found in the ancient world and how they would have adapted to live inside mammals. They searched mammalian genome sequence databases for the ERV-Fc virus, and then compared the sequences. Then, they reconstructed the proteins sequence representing the ERV-Fc virus in that species — a process that could prove invaluable in the future for learning more about the ancient world.